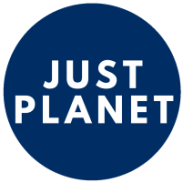 Just Planet has an advisory board of leading International Human Rights Law experts from around the world who are actively engaged in international human rights advocacy and advancing legal theory. Margaret Bedggood LLB (University of Otago); MA (University of New Zealand and University College London); Hon. D (University of Waikato); QSO. Honorary Professor of Law, University of Waikato, New Zealand. Visiting Fellow, Kellogg College, University of Oxford. Professor Bedggood, a former Dean of the Law Faculty at the University of Waikato was an elected member of the International Executive Committee, Amnesty International from 1999 to 2005. Her research interests include all aspects of human rights law, both domestic and international, especially economic, social and cultural rights, and more recently the intersection of human rights, religion and theology. Prior to her appointment at the Waikato Law School, Professor Bedggood was the Chief Commissioner and Chair of the New Zealand Human Rights Commission from 1989 to 1994. She has been a member of the Refugee Council of New Zealand, the Council of the Peace Foundation and Chair of the Human Rights Foundation of Aoteoroa/ New Zealand. She has also served on various Anglican commissions and is a member of the (Anglican) Third Order of the Society of St. Francis. Juan E. Méndez holds an Abogado degree (JD equivalent) from the Stella Maris Catholic University, Mar del Plata, Argentina, and a certificate from the Washington College of Law, The American University, Washington, DC, (1980). He is admitted to the bar of the District of Columbia, USA and of Buenos Aires and Mar del Plata, Argentina. He teaches at the Washington College of Law and is currently the United Nations Special Rapporteur on Torture. He is the author, with Marjory Wentworth, of Taking a Stand: The Evolution of Human Rights. He was President of the International Center for Transitional Justice between 2004 and 2009. He is a Visiting Fellow, Kellogg College, Oxford, and in 2009 and 2010 he was an Advisor to the Prosecutor, International Criminal Court, on Crime Prevention. In the summer of 2009 he was a Scholar-in-Residence at the Ford Foundation, New York. He is also former Special Advisor to the Secretary General (UN) on Prevention of Genocide. At Human Rights Watch he directed the Americas division (1982-1993) and was later General Counsel (1994-1996). He was Executive Director of the Inter-American Institute of Human Rights in Costa Rica (1996-1999). From 2000 to 2003 he was a member – and in 2002 the President – of the Inter-American Commission on Human Rights, Organization of American States. He has taught at the University of Notre Dame, Georgetown Law School and Johns Hopkins School of Advanced International Studies (SAIS), and he teaches regularly at the Oxford Masters Program in International Human Rights Law. Andrew Shacknove AB (Bowdoin); PhD (Yale); JD (Harvard); MA (Oxon). Associate Professor of Law and Director of the International Human Rights Law programmes, including the MSt, at Oxford. From 1990-92 he was the Joyce Pearce Research Fellow and a Senior Common Room member at Lady Margaret Hall, Oxford and from 1993-2010 a Governing Body Fellow at Kellogg College, Oxford. Dr Shacknove has worked with refugees and other immigrants in New York, Boston, Miami, with the UNHCR in Malaysia, and in Oxford with immigration detainees. He was for many years an instructor on refugee and human rights law for the United Kingdom Home Office Asylum Division. He has written on the refugee definition, asylum, ethical aspects of refugee policy and refugee status determination procedures in Europe and North America. Patrick Thornberry CMG LLB (London), LLM, PhD (Keele) is Emeritus Professor of International Law at Keele University and Visiting Fellow, Kellogg College, Oxford. From 2001-2014, Professor Thornberry was the UK member of the UN Committee on the Elimination of Racial Discrimination (CERD), and acted as Rapporteur of that Committee from 2002-2008. Among his many publications, works such as International Law and the Rights of Minorities, Indigenous Peoples and Human Rights, and (with M. Amor Martin), and Minorities in Europe, are prominent in the field of international law and human rights. Professor Thornberry is a former Chairman of Minority Rights Group and has worked as legal consultant to a variety of intergovernmental and non-governmental organizations. In HM Queen Elizabeth’s New Years Honours List of 2006, Patrick Thornberry was awarded a CMG – Companion of St Michael and St George – for services to international human rights, on the nomination of the Secretary of State for Foreign and Commonwealth Affairs.